A Munster eagle rises from the dead. a palimpsest of land wars with wilderness. Soundless falls the blade of extinction. Here is a poet, and a new poetry, to treasure and read. Let this new collection be your constant companion. Paul Casey was born in Cork, Ireland in 1968. He grew up between Ireland, Zambia and South Africa, and has worked primarily in film, multimedia and teaching. While employed as scriptwriting lecturer at the Nelson Mandela University, he convened the greater Port Elizabeth Poetry Competition in three languages and four age-groups. His poems have been published in journals and anthologies in Ireland, the US, China and South Africa. A chapbook of his longer poems, It’s Not all Bad, was published by The Heaventree Press in May 2009. 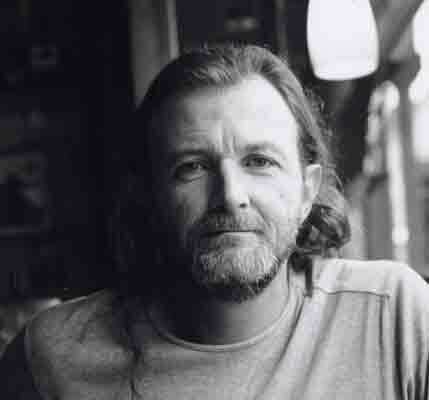 In June 2010 he completed a poetry-film based on the award-winning poem by Ian Duhig, The Lammas Hireling, which premiered at the Zebra Poetry-Film Festival in Berlin. He is the founder and organiser of the weekly Ó Bhéal poetry reading series in Cork city, where he lives. to the heartbeat of a wayward doe. from the duels of swords and harps. cobblestones, cannons, kept alehouses then. lamps lit stocks and paupers. Men and metal stitched me whole. pylons and beggars reflected thrice in glass. while coffee-shop buskers point tourists to pavement art. What will I not endure? long spaces poised for sudden red. many thousand miles per hour more. a reason to steer with his knees. her eyes that flicker. Her invisible fur. as puzzles stretch into the air. spirals splay in the naked sun. The present is undoubtedly a period of transition and of transformation in Irish poetry, one in which the meaning of the very term "Irish poetry" is being opened up, interrogated, changed and expanded by those who practice poetry in Ireland. In fact, things are changing so much that the term "Irish poetry" simply fails to account for the range and variety of contemporary practices here. Experimentalists may argue that this has been the case throughout the 20th century, at least, and it is true that many marginal and avant-garde practitioners have preferred to place themselves globally. But this was in parallel to, and often in reaction to, a mainstream which was overwhelmingly dominated by poets and poems which clothed and rooted themselves in versions of Irishness, and never shut up about it. These days, however, who can really claim that Ireland is anything more than the name of a convenient accounting trick? Who can tell what the mainstream of Irish poetry is nowadays? Poems using ancient Celtic myths, or political myths concerning modern day Ireland as their ur-text, certainly don’t count for what they used to. These kind of poems published by poets of our generation often seem way past their sell-by date, and (given that the main challenges for artists in any discipline remain making it now and making it new) sadly lacking in contemporary nous and artistic ambition. It’s the condition of wandering exile which gives rise, perhaps, to the most understandable attachment to mythologies. Cast away from the land of our birth we may need the sustaining lie of the motherland to keep us on our feet. There are many poems in which a mythical Africa and a mythical Ireland and even a mythical Cork are well couched and beautifully presented in Paul Casey’s home more or less. But I was much more impressed with the poems which eschewed cultural signposting, such as the mysterious and novelistic 'Return', or poems which offered an invigorating cut-up of the source material such as 'Imbas', 'Spell of Rest', and 'Puzzle Invocation'. These I found intriguing, memorable, original. One of the most interesting recent developments in poetry in this jurisdiction is the emergence of a multicultural and multilingual poetic in place of the centuries’ deep bilingual one, a process gestured to by the recent Landing Places anthology of immigrant poetry, and confirmed here by Paul Casey. Although it talks a lot about national identities and relies to a certain extent on mist-shrouded national mythologies, home more or less, at its most mongrelly innovative, can be read as undermining the attempt to place art according to political geographies or "linguistic communities". 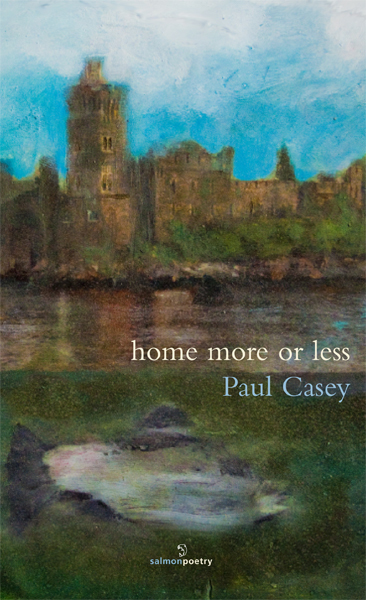 home more or less contains poems entirely or partially in the languages of English, Gaelic, Afrikaans and Zulu. Is an Afrikaans or a Zulu poem an Irish one? the inmost algorithms of apartheid’s armature. jy’s net nog ‘n fokken dom rooineck nê? ‘Like sub-Saharan thorns translation skills mutate and still their flowers must dilate. Casey is more political than McGlinchey, and therefore more disturbed culturally. His naming of names or pointing at milestones, from Kavanagh’s bench to the reworking of a Douglas Hyde translation, looks like part of a sophisticated effort to find a landing-place with enough flat grass to allow a descent. Interview: Paul Casey interviewed for Diogen: pro culture magazine (Sarajevo, Bosnia and Herzegovina).